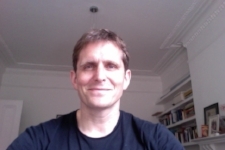 Johan Bergström is an associate professor in Risk and Safety Management at Lund University in southern Sweden. Teaching and research revolves around how safety is maintained and compromised in complex, high-risk systems. What sacrificing decisions do people make, under what goal constraints, and with what degrees of freedom? A term which has grown increasingly fashionable over the last ten years is ‘resilience’; the emphasis on adaptive capacities to cope with a great variety of threats in a complex and dynamic setting. What does resilience mean in the context of emergency care? And how does it relate to the notion of safety? These are the kinds of questions Johan has been exploring lately and which he will share with us in Zermatt.. For his publication list, presentation material and videos, please visit his personal webpage www.jbsafety.se. For more information about the course activities at Lund University, please visit www.humanfactors.lth.se. John is a Consultant in Anaesthesia and Pre Hospital Emergency Medicine. His anaesthetic practice is based as Guy's and St. Thomas' NHS Foundation Trust with an interest in difficult airway, transplant and thoracic anaesthesia. He works with London's Air Ambulance for the London Ambulance Service. He is a Major incident Medical Advisor. He has worked for air ambulances in Australia, New Zealand and in the UK as well as BASICS, motorsport and event medicine. He provides advice to companies involved in pre-hospital care and education. As a clinical tutor for The Institute of Pre-Hospital Care at London’s Air Ambulance he is proud to be involved in mentoring the next generation. Dr. Jim DuCanto (Twitter @jducanto) is a practicing Anesthesiologist for the past twenty years at Aurora St. Luke's Medical Center, the largest private hospital in the state of Wisconsin. He coordinates and supervises the Anesthesiology rotation for resident physicians and medical students at Aurora St. Luke's Medical Center since 2004, and has held an adjunct teaching position as a Clinical Assistant Professor of Anesthesiology at the Medical College of Wisconsin since 2007. Through the phenomenon of FOAMed (Free Open Access Medical Education), he has collaborated with Emergency Medicine, Critical Care and Prehospital and Retrieval Medical educators worldwide for the past 6 years, and served as a keynote speaker at the 2015 Social Media and Critical Care Meeting (SMACC) in Chicago Illinois on the topic of airway management. Through his collaborations with colleagues in these diverse specialties, he has produced innovations related to Prehospital, Emergency Medicine and Critical Care airway management with the invention of a specialized rigid suction catheter (the “SSCOR DuCanto Suction Catheter”) as well as techniques to manage the massively soiled airway (the “SALAD" Technique), and a simulator to demonstrate and practice the SALAD technique (the Nasco Life/form® S.A.L.A.D. Simulator). Tobias, born in Germany, had the privilege to train in Anesthesia and Critical Care in Germany and France. He spent the last ten years as trauma lead consultant in a busy Paris trauma center. There he co-founded with a friend and colleague, Sophie Hamada, the Paris trauma network, Traumabase.eu. Since 2017 he is working in the UK as HEMS doctor with the East Anglian Air Ambulance. Special interests are human factors in medicine, trauma systems and intrahospital disaster preparedness. Mikael Gellerfors is Medical Director at the Ambulance Helicopter in Dalarna and Research Director at the Swedish Air Ambulance. His research centers on prehospital advanced airway management. 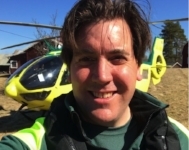 Mikael works as Senior Consultant at Dalarna Ambulance Helicopter. Additionally he serves as Critical Care Physician with the Rapid Response Car in Stockholm and anaesthesiologist at Södersjukhuset hospital. Mikael is board member of the Swedish Association of Physicians in Prehospital Emergency Medicine and member of the Nordic Prehospital Research Alliance working group. He has worked at Grote Schuur University Hospital in South Africa and been deployed with the Swedish Armed Forces Forward Resuscitation Team and Medevac Helicopter. Tim was born in the UK but has spent around half his life overseas. He trained in Emergency Medicine and Intensive care medicine in Australia, and in pre-hospital Medicine in Australia and the UK. He has worked in 43 hospitals in 11 countries and mixed training with travel with volunteer work in Africa, India and Samoa. He has worked at Barts Health for 10 years and was appointed Professor Emergency Medicine at QMUL and BH in 2012. He divides his academic time between teaching and research. His main interests are resuscitation, ultrasound, and point of care testing but most academic time is working to facilitate large multicentre studies at BH. BH research team have run 14 portfolio studies and published over 40 scientific papers in their four year existence. 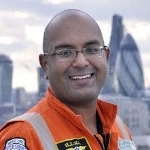 He is CLRN lead for North Thames and chairs the London Emergency Medicine Academic committee. Per Kristian Hyldmo, PhD is a Norwegian consultant anaesthesiologist and has worked 20 years as an air ambulance physician. His doctoral thesis concerned prehospital basic airway management in trauma. He is an Associate Professor at the University Of Stavanger, Norway (PhD and Master programmes of prehospital critical care). He has been involved in making Scandinavian guidelines for pre-hospital airway management, and headed a task force making national guidelines for prehospital spinal stabilization. His career includes positions as Medical Director of the regional EMS, Head of Department (Anaesthesiology), and Head of Division (Acute Care Medicine). He currently holds the positions as Head of Trauma and Medical Director of Intensive Care Transport at Sorlandet Hospital, Norway. Håkan is an MD, EDIC, Senior Consultant Anaesthetist/Intensivist in the ECMO ICU of Astrid Lindgrens Hospital for children at the Karolinska Hospital in Stockholm Sweden. With a wide range of experience in ECMO transport, ECMO ICU management and Neonatal ECMO treatment as well as a broad experince in general ICU and mountain medicine he is currently working on his PhD in pediatric intensive care epidemiology. Matthieu holds full board certification in anesthesiology and critical care in both France and the UK. He was previously a research fellow at the European Space Agency and holds additional qualifications in mountain, diving and hyperbaric medicine. He worked with the NASA Human Research Program and developed simplified anesthesia protocols for future space exploration missions. He currently pursues a PhD in machine learning applied to intensive care at Imperial College London and the Massachusetts Institute of Technology. For his work, he received several awards including the first prize of Research and Innovation of the British Royal Society of Medicine. He is an affiliate of Harvard University where he teaches reinforcement learning in healthcare. Michael is a clinically working consultant anesthetist at Rigshospitalet in Copenhagen, a referral center for all BIGSICK-, including trauma-, patients in the Capital Region of Denmark. Michael is in charge of clinical Airway Management and is constantly developing and refining airway management. Michael has been the first to describe several of the new advanced techniques for airway management and is a pioneer in emergency airway management, including research and publications in front of neck airway access in both adults and paediatrics, and is the head of the international Scandinavian airway course – www.airwaymanagement.dk. Michael has, together with dr. Wendy Teoh, developed methods for rapid and precise use of ultrasonography for lifesaving airway management. Find his Pubmed-indexed publications here. Lionel is in charge of the pre-hosptial ECMO programme at Necker childrens hospital in Paris, France. He is pushing the frontier in ECMO resusitation. Magnus Larsson is a consultant in paediatric and general surgery since 2003. Research interests include trauma surgery, coagulopathy and ECMO. He completed his PhD in 2015 on ECMO in traumatic haemorrhagic shock. Magnus also has a military background and is a Major in the Swedish 3rd Cavalry ranger battalion. ATLS Instructor. Dr. Levitan was in the first class of Emergency Medicine residents at Bellevue Hospital in NYC (1990-1994). Frustrated with his training and skills in emergency airway management, he began a twenty-five year obsession with airway imaging, research, and education. He worked at inner city, level 1 trauma centers in NYC and Philadelphia for 23 years before moving to a critical care access hospitals in rural New Hampshire and Colorado. He regularly teaches airway procedure courses about the US and around the world; his monthly Baltimore cadaver course has been running for eighteen years. In 1994 he invented a head-mounted imaging system for laryngoscopy called the Airway Cam. Using this device he performed research on laryngoscopy techniques, capturing laryngeal view from the operator’s perspective. He has invented other airway devices (the Control Cric, the Universal Stylet Bougie, and the Levitan Optical Stylet) and has promoted and pioneered many airway techniques now in common practice including: epiglottoscopy, bimanual laryngoscopy, ear-to-sternal notch positioning, and nasal oxygenation during efforts securing a tube (NO DESAT). When not looking at the larynx he likes being in the mountains. Richard is a Consultant in Emergency Medicine and Clinical Lead for Medic1 at the Royal Infirmary of Edinburgh. He is Associate Medical Director of Kent, Surrey & Sussex Air Ambulance and Chair or Pre-hospital Emergency Care at the University of Surrey. Born in Luxembourg, he became a volunteer fireman at the age of 15 and developed an early passion for pre-hospital emergency care. He completed a unique doctorate thesis on out-of-hospital cardiac arrest (OHCA) – the TOPCAT study, which has formed the basis of a successful programme of work to improve outcome from OHCA across Scotland. He is active in resuscitation and trauma research and was proud to be part of the winning BMJ Awards Emergency Medicine Team of the Year. He has won numerous national and international awards for his work and in 2017 was awarded an MBE in Her Majesty The Queen’s Birthday Honours for Services to Emergency Healthcare. Cyrus P. Olsen III is Associate Professor of Theology/Religious Studies at The University of Scranton, Scranton, PA (United States). He has advanced degrees from the University of Oxford in Systematic Theology and the University of Washington (Seattle, WA) in the Comparative History of Ideas. A specialist in speculative philosophy, ethics, and culture, Cyrus is a dilettante with a passion for the outdoors. His most recent research concerns the confluence of religion and healthcare in southwest Uganda, East Africa. Zack Shinar is a full-time Emergency Physician in San Diego, California. He co-leads the EDECMO podcast, co-chairs the Emergency ECMO program at his hospital, and directs the ECMO/REBOA conference “Reanimate”. He is the vice chair of Emergency Medicine at Sharp Memorial Hospital. He was chief resident at Los Angeles County Emergency Medicine Residency. He studied medicine at the University of Southern California and studied bioengineering at the University of Pennsylvania. He is an avid endurance athlete completing marathons, ultra-marathons, and ironman triathlons. Stephen J. M. Sollid is a trained anaesthesiologist with 15 years experience as a HEMS doctor. He has a PhD in patient safety and risk management from the University of Stavanger, is an Associate Professor of Prehospital Critical Care at the same university and currently head of the Prehospital Clinic at Stavanger University Hospital in Norway. His main research interest and - activity is in prehospital patient safety and risk management strategies. Norwegian paediatrician, PhD in Newborn resuscitation in low resource settings, research focus on bag-mask ventilation of the newborn. Spent several years working overseas in low resourced settings. 9 missions with Doctors Without Borders in countries like Afghanistan, Syria, Ethiopia, India, Sierra Leone, Central African Republic. Is now in Mosul, Iraq. Wendy Teoh is a Senior Consultant Anaesthesiologist in private practice, after 15years at Singapore’s largest maternity hospital with 12,000 deliveries annually (KK Women’s & Children’s Hospital). She is on the Executive Council & Board of Directors of the College of Anaesthesiologists Singapore, and an Airway Lead in Singapore Society of Anaesthesiologists (SSA) Airway Special Interest Group. Wendy’s interest lie in obstetric airway management, videolaryngoscopy, advanced supraglottic airway use, airway ultrasonography (localisation of the cricothyroid membrane) & ultrasound-guided epidurals in pregnant women. With >55 peer reviewed/ indexed publications, 15 book chapters, she lectures worldwide and is invited faculty of difficult airway workshops of the European Society of Anesthesiologists, the American Society of Anesthesiologists and the Difficult Airway Society, UK. Dr. Tisherman is a Professor of Surgery, University of Maryland School of Medicine. He is the Director of the Center for Critical Care and Trauma Education of the Shock Trauma Center and the Director of the Surgical ICU of the University of Maryland Medical Center. He completed his undergraduate degree in Biology at the Massachusetts Institute of Technology, and medical school, a general surgery residency, and a surgical critical care fellowship at the University of Pittsburgh. Dr. Tisherman's research has focused on the management of severe hemorrhagic shock and cardiac arrest, with a special interest in therapeutic hypothermia. Along with Drs. Peter Safar and Pat Kochanek, he has developed Emergency Preservation and Resuscitation (EPR), a novel approach to the management of the exsanguinating trauma patient utilizing hypothermia to "buy time" for resuscitative surgery. He is currently conducting a clinical trial of EPR.